It’s obvious that the Vikings approach to free agency has gotten under some fans skin but they did try and address the wide receiver position in the early portion of free agency. Jeremy Fowler of the Pioneer Press reported that the Vikings were in the “top 3” for receiver Pierre Garcon. Vikings were ready to make a competitive offer but weren’t willing to match the Redskins offer of $21.5 million guaranteed. 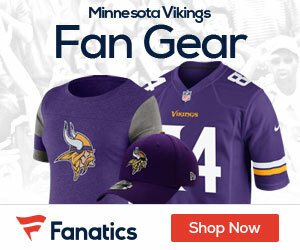 Vikings called Garcon shorly after free agency started and Garcon was said to like the thought of playing in Minnesota. The Vikings liked Garcons ability to be able to stretch the field and compliment Percy Harvin. Can you blame the Vikings for not offering more than the Redskins did for a receiver who’s never really proven he’s anything more than a #2 for someone? I think Garcon would of been a nice fit but not for that much money but time will only tell if he’s worth it. Pursuit of Garcon indicates Viking may be looking at similar size receiver at top of second round. Stephen Hill, Rueben Randle and Alshon Jefferies have WR height. I agree on Hill or Randle. Not sure if Jeffries brings the same type of speed, but Rice proved you don’t necessarily need speed to be a vertical threat. I was just going to post the same thing Lost, great minds! Will someone explain to me Jeffries meteoric fall? Don’t trust the Brown @ 36. They say there are a lot of questions about Alshon Jeffreys speed and training. I think that is ridiculous though. All the experts say look at the tape. Well, he owned Dre Kirkpatrick and the Alabama defense the last time he plaid them. He took it to Alphonso Denard when he wasn’t holding him in the open field. He came up with crucial plays at crucial moments. He catches the ball with his natural hands comfortably and confidently. He adjusts to under thrown balls very well. He reminds me of a stronger sturdier version of Sidney Rice. Just catch the ball. That’s the main thing. I agree, Randy, don’t overpay for a #2. Look at Berrian. Man, that guy went south. Why get your neck broken if you’re a millionaire? I wouldn’t. Did he retire? No interest from anyone? And look at T.J. Whatshisname. It was good we didn’t get that guy either. I say draft young guys who want to make their money. Make sure they can catch. wheres the new mock draft too btw? Working on it right now Chris, probably post it this weekend. The Vikings have done very little to improve during this free agency season. I’m afraid that the Vikes will have just as poor a season in 2012 as they did in 2011. I think they’ll win more than 3 games. The schedule will be favorable: Tennessee, Indy, Jacksonville, Arizona, Seattle, St. Louis, Washington and Tampa Bay are all winnable games (on paper). Would be great to have something new to chew the fat on here. Can’t wait for the mock draft Randy.